I’m supposed to be a Christian. I professed that I was at least, dunk my body in water, and rose up saying that I was His child. Does my life represent that right now? I’m not too sure anymore. I’ve become robotic and disconnected from my faith as I become accustomed to only watching iZombie on Netflix and writing poetry. Yes, poetry is beautiful but I wish I had more passion for my faith. I wish I was the kind of Christian that was so absorbed in Jesus that I forget my worries, pettiness, and etc. I wish the baptism that I participated in back when I was 15, could have given me the wisdom that I needed to better become a Christian. Yes, I believe but I’m not acting like I do. I’m not thinking about God, I’m not praying, and I’m not a good example. How am I suppose to lead college students next year as an apprentice leader? This good Christian posterchild is confused. I didn’t grow up with a religious household. I don’t have parents who took me to church, so I took myself to one. I had the inherent desire to become a Christian. I chose that path for myself and walked to church every Sunday with my sister. I made my own choices along the way. Good or bad, my choices are a part of who I am. If that doesn’t qualify me to be the ideal Christian, then too bad. Truth is some people are more blessed than others. And I mean that in the most kindest and sincerest way possible. Some came from the ideal middle class Christian household, some have enough money to not worry about finances, and some people just have a lucky lot in life whether they are Christian or not. It’s just life and the deck of cards you’re dealt with. But it’s no excuse for not recognizing the blessings you do have everyday. 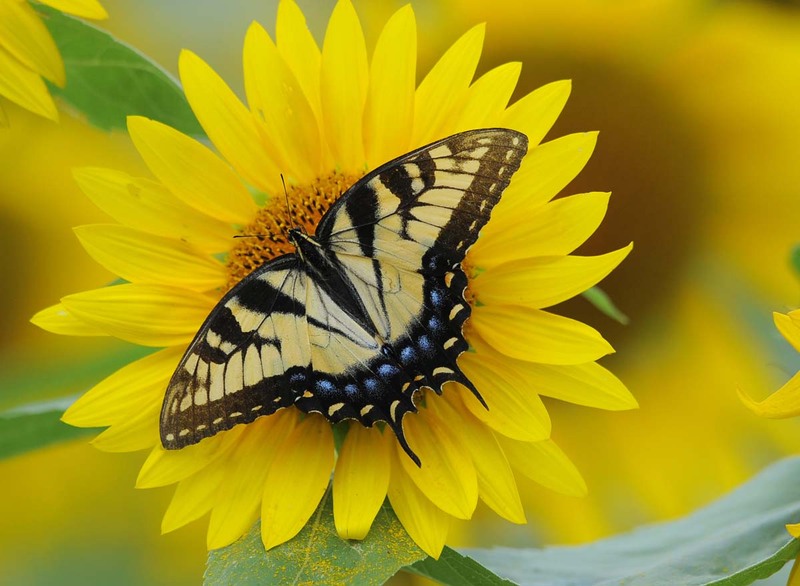 Much like this butterfly on a sunflower, I see how beauty exists in even the smallest blessings. Sure, I don’t act Christian all the time, but that doesn’t negate my name. I still believe that’s a precious blessing in itself. Of course, more action is needed to become the person I want to be by holding that title, but I still have Jesus. My focus right now has changed from the my usual worries. The anxieties of dating, making sure my friends don’t hate me, or just dealing with superficial people or things. I’m tired of it all. I’m tired of dealing with things that aren’t supplementing my happiness in a vulnerable way. I’m tired of being selfish in my happiness. It’s about time I start changing to the Christian I want to be. So what if a friend didn’t text you back, who cares if the boy didn’t share the same feelings. and who cares if this life isn’t what you expect at 22. It’s time to adult and to move on with life. All the lamentations are reserved for the lamentations chapter in the Bible, sweetie. Need poetry? Read some Psalms. Need a friend? Call Jesus. It’s time to keep some things private, close off a bit, and focus on what really matters in life. And the answer is always JESUS and maybe a cup of coffee.